I admit it. I bought this book because of the jacket and the title. Clearly, if the book were in a "plain brown wrapper" and bore the (sub)title, A Year Of Reading From Home, I might have missed it. That would have been a real shame. It is also the reason that I have my doubts about the Kindle. It is a white slab with buttons. Sure, you can read on it, or from it, or something. But look at this jacket...you just can't help yourself. You must have it. 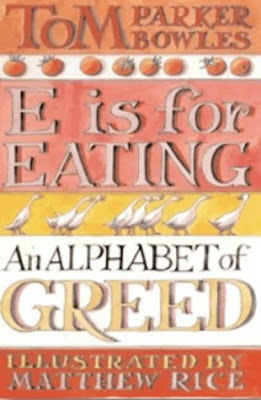 The other big plus is... Howards End Is On The Landing is really good. 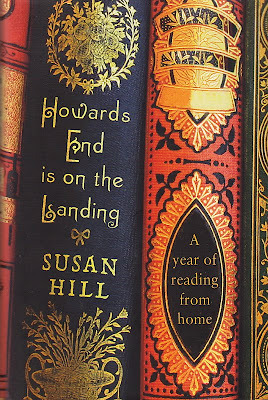 Susan Hill is a novelist with a great eye for reading. The book came about when she went searching for a book she had misplaced. I was hooked. After 2 years, I am still frantically searching for my copy of The Unconscious Significance of Hair. Hey, as I have said before, the three most important things to a Southern girl are God, Family and Hair, almost never in that order! any how, Hill goes looking for a book she has lost and realizes that she owns a fair number of books she hasn't read. She decides to read from her own library for a year and to buy nothing. I read that and totally hyperventilated. Susan Hill remained strong and the fruits of her labors adorn these pages. A joyful gift for those "bookie" friends and family. Screw them, buy a copy for yourself! Count me in. However, I will have to digress a bit to even get to most of my books. Most are in boxes while I need to finish a project that got interrupted by the gardening season. This is the first week I haven't spent most of the time outdoors since April! Yes, we do buy books for covers, for titles, for remembrance. And sometimes, even to read! 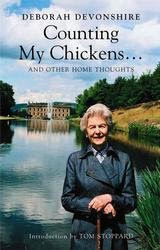 Counting My Chickens by the Duchess of Devonshire? The title alone makes me swoon. I will seek it out. And a full throated "yes" on the title and jacket of "A Year of Reading From Home." Truly lovely and a beautiful addition to any shelf.